Released on Nov. 17th, 2017, “The Rest of Our Life” is the first collaborative album by a well-matched country couple, Tim McGraw and Faith Hill. The album earned 104,000 units, of which 98,000 were in traditional album sales. "Speak to a Girl", the first single from the album, reached number 6 on the Billboard Hot Country Songs chart. A great many listeners express that both artists sing well separately and blend excellently together. Tim McGraw & Faith Hill’s “The Rest of Our Life” makes us feel all warm and fuzzy on the inside. Are you looking for a way to keep them forever? Here we are going to show you how to stream and download all the songs in album “The Rest of Our Life” to MP3 format for free in a quick and easy way. By now, "The Rest of Our Life" is available on iTunes and both of the two dominant streaming music services – Spotify and Apple Music. 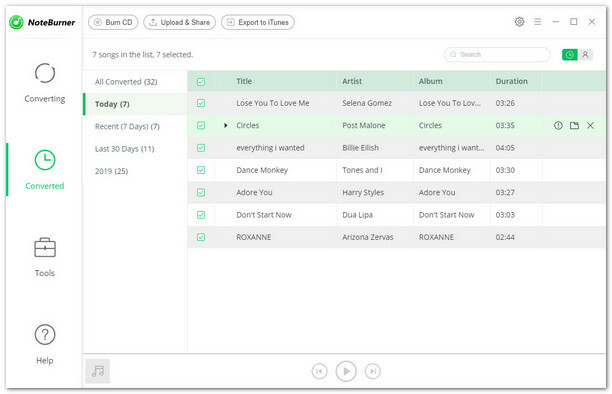 Here we are going to guide you to download the songs with Spotify Free. As we all know, all the songs on Spotify are DRM-protected. To download album “The Rest of Our Life” from Spotify, we will have to remove the DRM first. 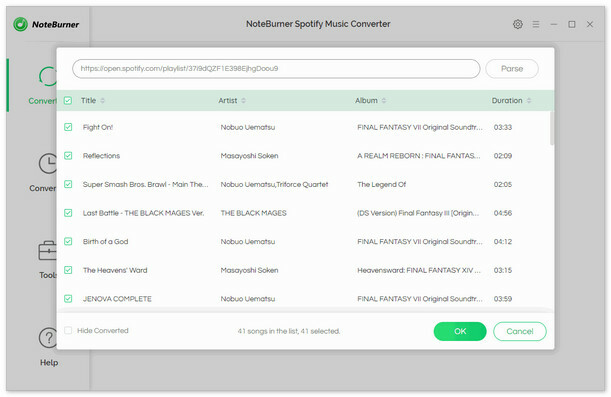 Next we will take the most popular Spotify DRM removal tool – NoteBurner Spotify Music Converter as an example to show you the detailed steps. Part 1. 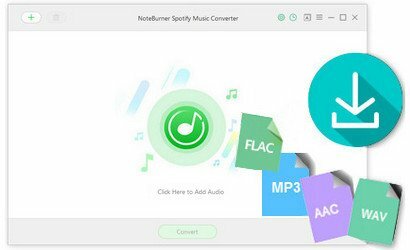 Full Track of "The Rest of Our Life"
NoteBurner Spotify Music Converter is an expert in removing Spotify DRM, converting and downloading DRM-protected Spotify songs to DRM-free formats (MP3, AAC, WAV, FLAC). 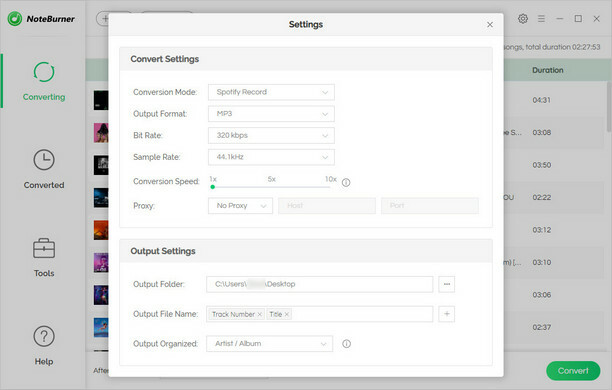 Moreover, the program enables users to burn Spotify music to CD with one-click, with no need to install any other extra hardware or virtual drive. Click button "+" or click the center of NoteBurner. There will be a pop-up window prompting you to copy and paste or drag and drop the playlist link from Spotify to NoteBurner. Click the gear button on the upper right. Here you can choose output format (MP3/ AAC/ WAV/ FLAC), output quality (High 320kbps, Medium 256kbps, Low 128kbps) as well as the output path. Here we choose MP3 as the output format. Click button "Convert". When the conversion is done, all the songs in "The Rest of Our Life" will have already been converted & downloaded in MP3 format and saved in the output path you set in previous step. 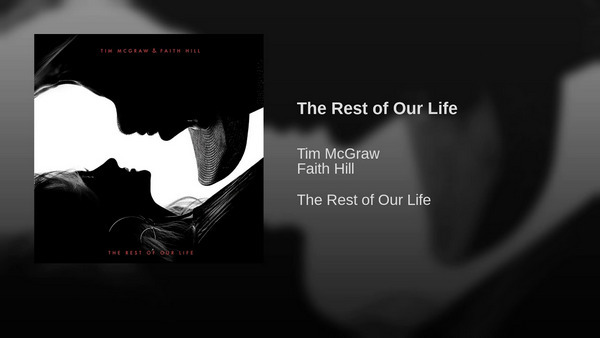 By clicking the history button (like a clock) on the upper right or directly going to the output folder you customized in Step 2, you have full access to Tim McGraw & Faith Hill’s whole album "The Rest of Our Life" in MP3 format.